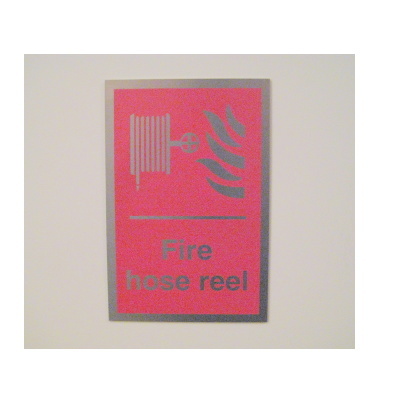 Stainless steel, Fire Hose Reel sign, size: 150mm x 100mm, with self adhesive backing. Ideal for use in pubs, hotels, theatres, health clubs, conference venues etc. 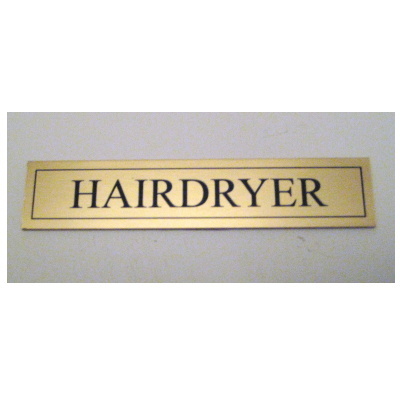 100mm x 20mm, brass, polished and lacquered, Hairdryer Sign with self adhesive backing, especially suitable for hotels. These signs can be made in a size to suit your requirements. (Quantities of over 50 off) They can also be produced in aluminium and stainless steel. 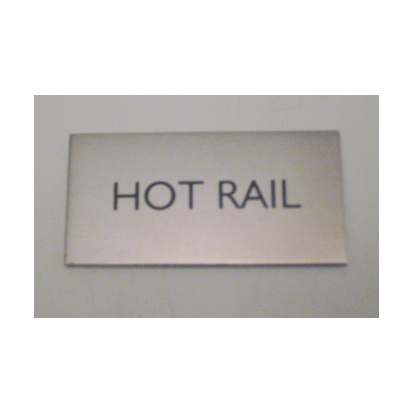 60mm x 30mm, Hot Rail Sign in stainless steel steel, with self adhesive backing. 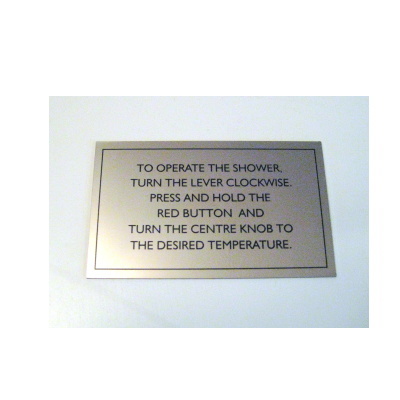 These signs can be made in aluminium and brass; size to suit your requirements. Quantities of over 50 off. 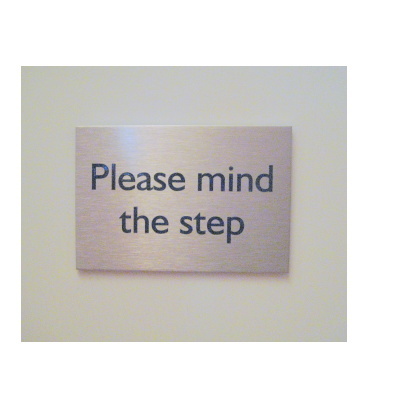 Stainless steel, Mind the Step sign, size: 75mm x 50mm, with self adhesive backing. 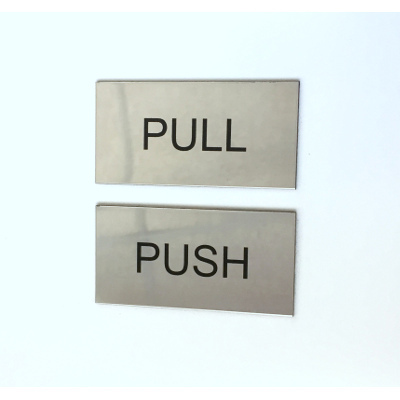 These signs can also be made in aluminium and brass, size to suit your requirements. Quantities of over 50 off. 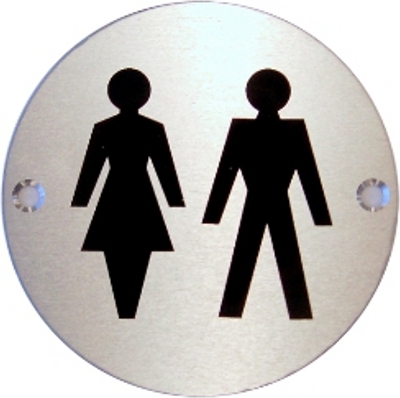 Stainless steel, Pull Sign, size: 60mm x 30mm, with self adhesive backing. Also available in brass and aluminium for quantities of over 50 off. Suitable for restaurants, pubs and hotels. 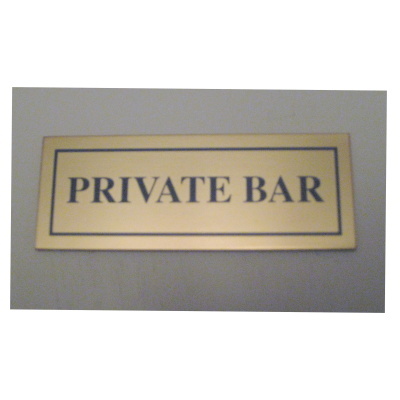 80mm x 30mm, Private Bar Sign in brass, polished and lacquered, with self adhesive backing. Also available in stainless steel and aluminium for quantities over 50. 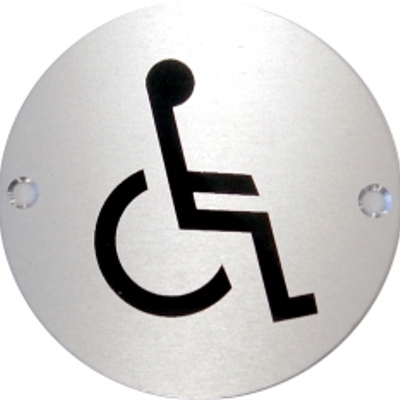 Symbol Disabled sign - 76mm diameter. Can be supplied in anodised aluminium, satin stainless steel, polished stainless steel or polished brass. The signs are individually packed, complete with fixing screws. Pleae click through to next page to select material. Suitable for hotels, restaurants and pubs. 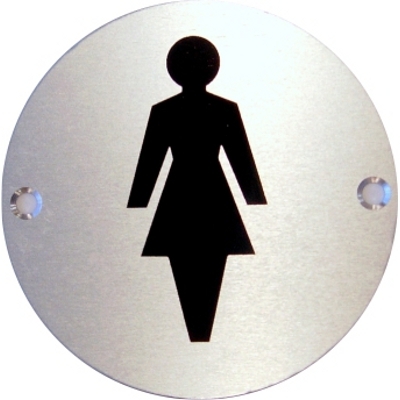 Symbol Female sign - 76mm diameter sign. Can be supplied in Anodised Aluminium, Satin Stainless Steel, Polished Stainless Steel and Polished Brass. The signs are individually packed, complete with fixing screws. Please click through to next page to select material. 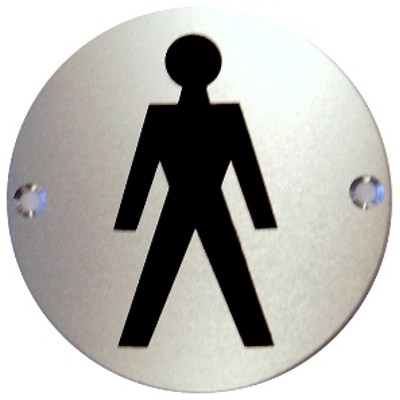 Symbol Male sign - 76mm diameter sign. Can be supplied in anodised aluminium, satin stainless steel, polished stainless steel or polished brass. The signs are individually packed, complete with fixing screws. Please click through to next page to select material. Symbol Unisex - 76mm diameter sign. Can be supplied in anodised aluminium, satin stainless steel, polished stainless steel or polished brass. The signs are individually packed, complete with fixing screws. Please click through to next page to select material. 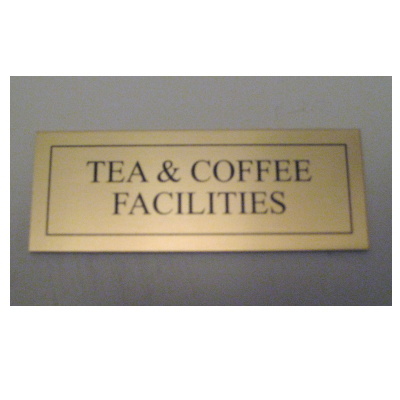 80mm x 30mm, Tea & Coffee signs in brass, polished and lacquered, with self adhesive backing.